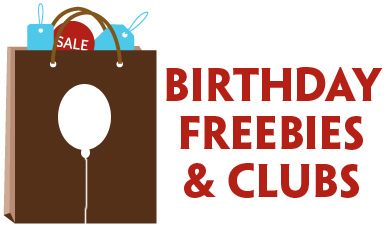 Freebies Roundup: Outback Bloomin’ Onion, Huggies, Drumsticks + More! 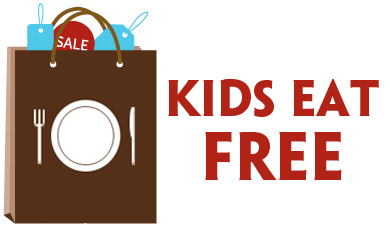 This week’s freebie roundup is courtesy of The Freebie Blogger. Get 50 Free Photo Cards + Free Shipping from SeeHere.com with code freebies4mom-1109. The Oregon Beef Council is offering a Free Holiday Roast Brochure & Recipes. Sign up to receive a free Empress Hair Care Sample. Walmart is offering a free sample of Huggies Little Movers Diapers. 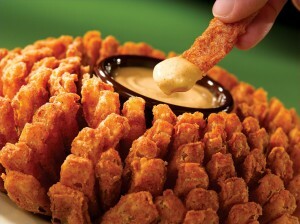 Get a coupon for a free Bloomin Onion at Outback Steakhouse (w/entree purchase) when you become a fan on Facebook. Sign up to recieve a free sample of Graffiti Safewipes. Lego is offering a free software download of Lego Digital Designer. Get a free sample of Jennifer Lopez My Glow Fragrance. Mercury Magazines is offering a free subscription to Modern Painters Magazine to those who qualify. Get a free $10 Gift Card From Coinstar when you convert $40 in coins. PlayDrums.com is offering free Drumsticks, Book and DVD. Does anyone ever get these samples? I’ve been doing these every Friday for a while now and the only samples I seem to get are the Walmart Samples and a few others. I definitely don’t get even half of the samples I apply for. Anyone else? Jenny, the code is supposed to be valid through the end of the month. I’ve heard they’re experiencing some technical problems, so check back. Ann, getting samples is kind of hit or miss. Sometimes things just don’t show up, and sometimes they’ll show up months later when you’ve forgotten all about them. You’re right, though — Walmart is very good about sending them. I just ordered some of the photo cards and it accepted the code for me, good luck…i’m excited! Thanks Tara!!! I actually found it worked instantly when I typed it in, it seems to be when you copy and paste it that the error comes up. So just type it in and it will work perfectly!!!! Thank you so much for the code for the photo cards…you can’t beat 50 free Christmas cards! Seems like the Walmart samples come really quickly. The others can take up to 8 weeks. i just got my photo cards in the mail today! came out excellent! thank you so much! I also just ordered another set of 50 for my grandmother, the code worked! My mother also did it!! I just tried the code, but it says there are no items to which to apply it. I tried typing it in, too. Pat, some people reported on the other thread that it only seems to be working on certain sizes of cards, so try a different size and see if that works. The code is not working today. The error message says there are no items to which to apply the code. I have 50 photo cards in the cart and have tried several times to type and copy the code. Thanks Tara~ just saw your comment! Will try it! The code worked on 4×8 photo cards, but not 5×7 cards. THANK YOU, THANK YOU, THANK YOU!!! Between the 2 codes for SeeHere, I was able to cut my annual photo card costs by more than 90%! I am not able to use the code freebies4mom-1109. Anyone else get it? I tried typing it in and copying and pasting. Jessica, I think that code expired last night.